Jack Layton is contesting the May 2 2011 Canadian Federal Election as leader of the New Democratic Party. This minority party is to the left of the political spectrum, and in the last election Layton won 18% of the popular vote. Will he do any better this time around? Time to check out his transits. Fortunately we do have a time of birth for Jack, 1:30 pm on July 18 1950 in Montreal*. The Full Moon two weeks before the election is at 26 degrees Libra, right on his Ascendant, should make him very popular, in the limelight. Also very positive is Uranus trine his Midheaven. This suggests an exciting new direction in the career. This comes on top of Jupiter sextile his Venus which will add to his charm and appeal with the voters. Should do well. That’s great that you’re using my research data for Layton’s chart, but i would prefer that you provide sources for the astro-data you republish and thereby acknowledge the work of astro-data collectors like me. [The new Astro-databank is using hundreds of my research data and those of other collectors without our permission (let alone payment), and they have refused to link to our websites, etc. Also, they are falsely claiming copyright over our work]. The URL for my website is http://www.syscholfield.com and I’d appreciate it if you’d publish my name (and hyperlink it to my website) beside any of my research data on your site. I think it would also be appropriate for you to provide a Rodden Rating with any data you publish. I also suggest that you contact me (or other data collectors) directly to confirm the accuracy of my/our data taken from Astro-databank because there are many mistakes in the new Astro-databank. Thanks! It’s a real shame about Astro Databank. I’ve taken your advice and now search out the original source. Cheers. He truly loved the country, Canada and the people living in it. He had high hopes and wanted the best for the country and the people. He believed in change and that we could change. A man of conviction,a man of vision. We are very sad by this news. It’s the first time in the history of the country that a leader of the opposition has died in office. Canada is very sad today and a very sad period for the country. My sincere sympathies to all the family. Au revoir, mon ami Jack. 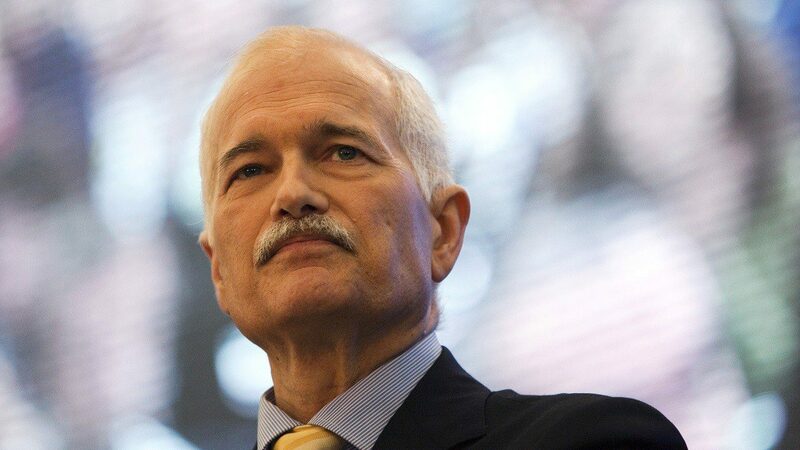 Jack Layton, the most decent man in Canadian politics, beloved by friend and foe alike, passed away from cancer at his home in Toronto this past Monday, 22 August at 4:45 a.m. with the Moon in his eighth house. His opponent Prime Minister Stephen Harper has made the unusual step of granting Jack a State Funeral.